Building with sips produces less timber waste than other forms of construction. Manufacturing the panels in a factory environment allows us to minimise our use of raw materials. Waste created in the cutting of the pre-engineered panels can be collected and recycled. Our sips offer extremely high thermal performance. The Expanded Polystyrene (EPS) layer of rigid insulation, achieves U-Values as low as 0.22W/m2K or better, making savings of up to 60% on heating costs. Insulation is integral to the sips system, ensuring that the insulation is consistent and complete. Other methods of construction may leave areas of reduced insulation that do not meet the intended specification. 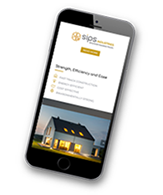 Due to the continuity of the Expanded Polystyrene (EPS) layer of rigid insulation, the sips system greatly enhances thermal reliability compared with other insulation which often sags or slumps over time. 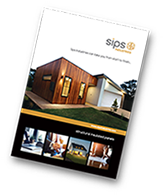 sips Industries buildings use whitewood timber which is sourced from managed plantations through a recognised timber supplier and sawmills. This timber is vacuum treated, a process that uses no solvents. FSC and PEFC accreditation. 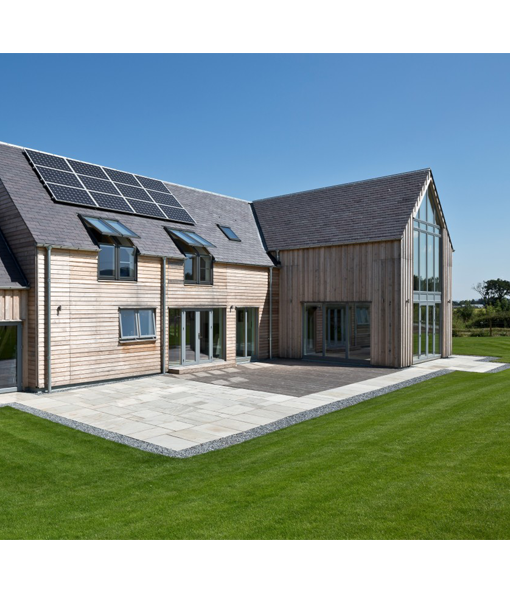 sips panels are typically jointed at 1200mm centres, giving a saving of approximately 50% in timber, when compared to standard timber frame construction.